*This month we are seeking photos of unusual sightings #. If you submit a photo (or two) meeting this criterion, you may post up to three photos but you may only submit a maximum of 2 photos of the same bus. Submissions close midnight 27 August, Australian Eastern standard Time. Voting will commence on 28 August. Voting will close on 1 September. # fairly broad definition of "unusual sightings": buses doing routes they don't normally do - such as Renault/Irisbus/Artic/STAGs on weekends, normal buses on City Loop. 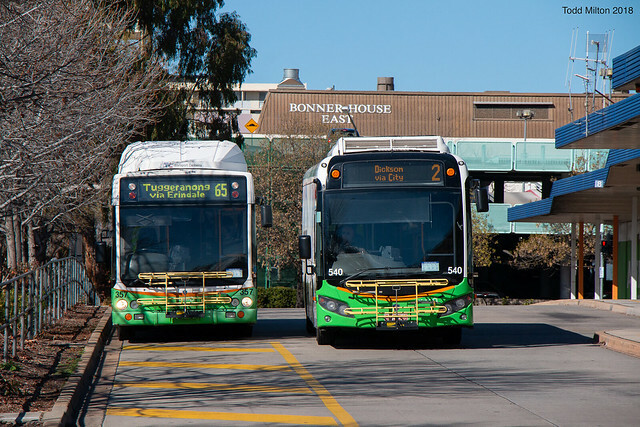 BUS607 lays over on Terminal Ave at the CBR Airport between route 11A trips. BUS379 lays over at City West. Double 967?!? BUS360 lays over at Tuggeranong after operating a route 967, while BUS967, lays over at Tuggeranong before operating a route 968. Voting is now open. Voting may close at any time on 1 September if there is a clear winner, so vote now. 24 hours to go. Currently a tie. More votes needed please otherwise we'll have a vote off. 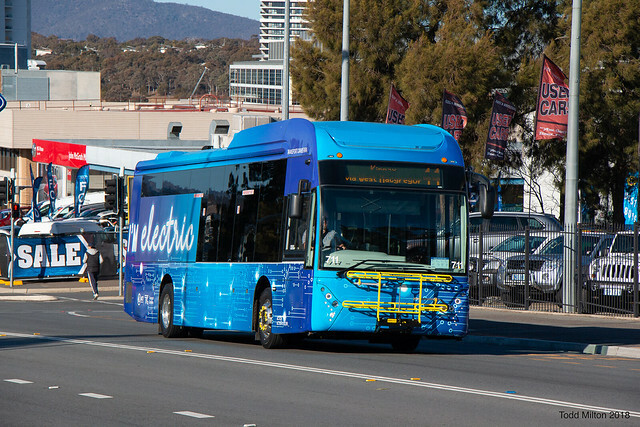 We have a winner (Bus 658 at Dickson), so voting has been locked. Non-AOA bus and preferably no side advertising either.